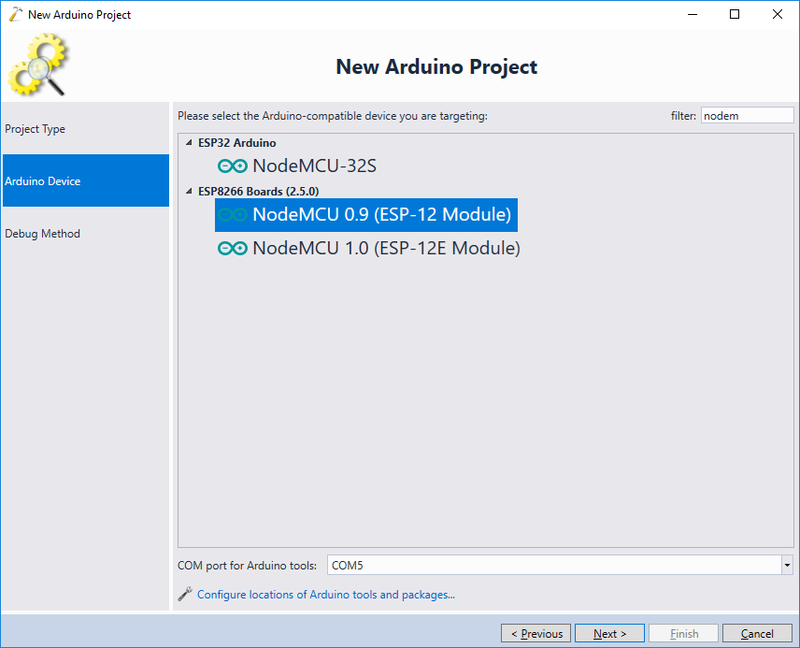 This tutorial shows how to develop Arduino projects for ESP8266-based boards. 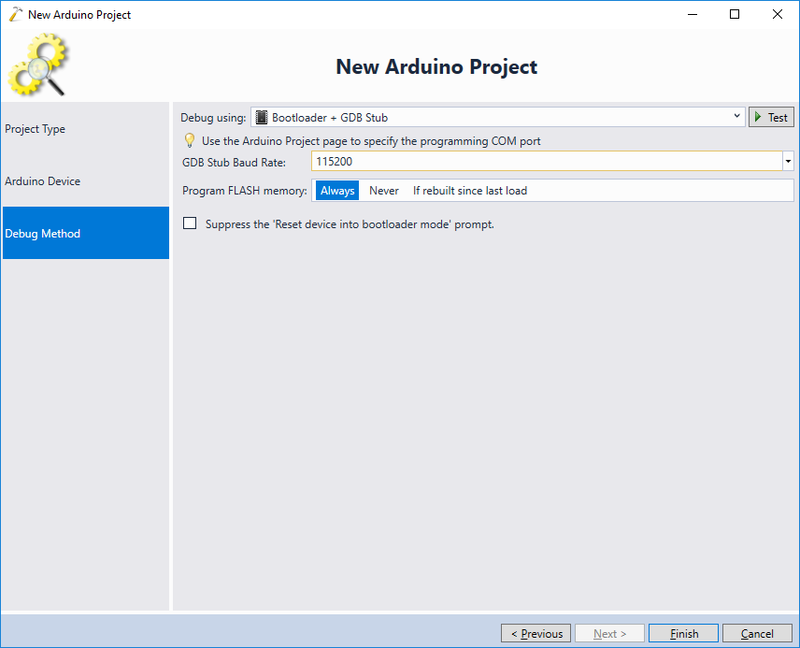 We will create a basic “Blinking LED” project for the NodeMCU board and will show how to debug it with the built-in GDB stub. 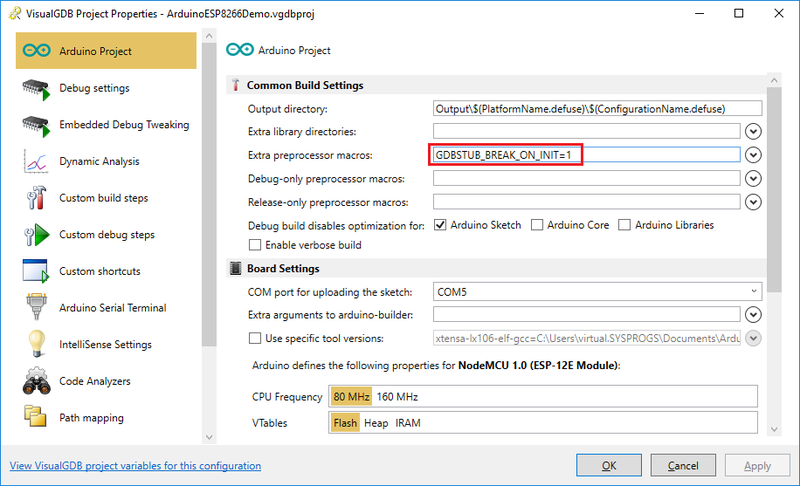 Warning: the ESP8266 Arduino core uses settings that are incompatible with reliable JTAG debugging and the GDB stub debugging is not fully supported unless you are using the ESP8266 Arduino Core v2.5.0 or later. 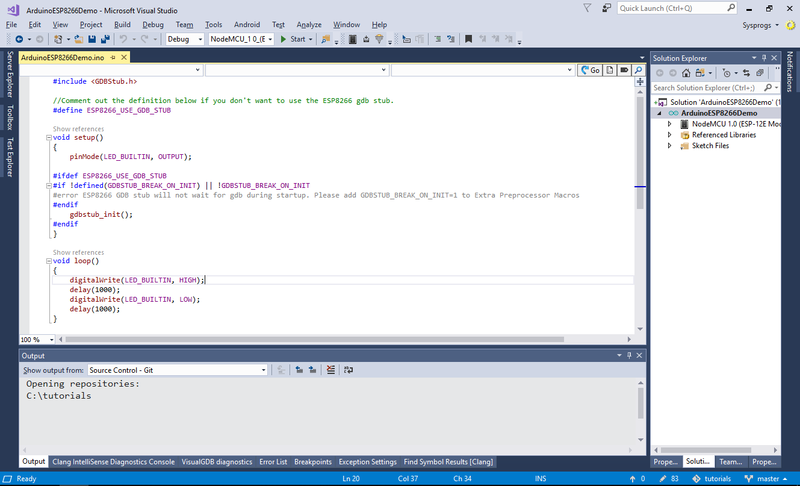 Please ensure you are using the latest Arduino Core. Before you begin, install VisualGDB 5.4 or later. 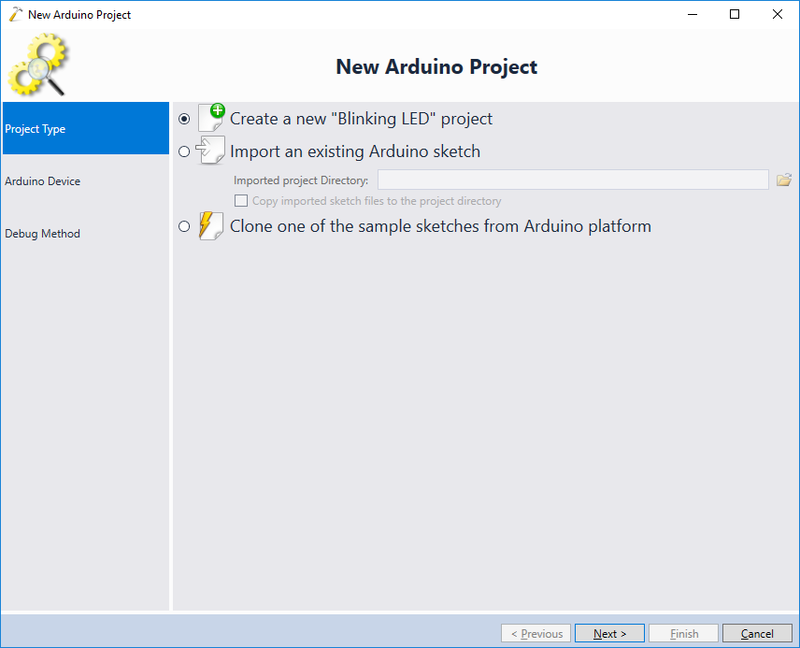 Select “Create a new ‘Blinking LED'” project: Warning: if you are importing an existing Arduino project, it will not automatically insert the ESP8266 gdb stub code into it. 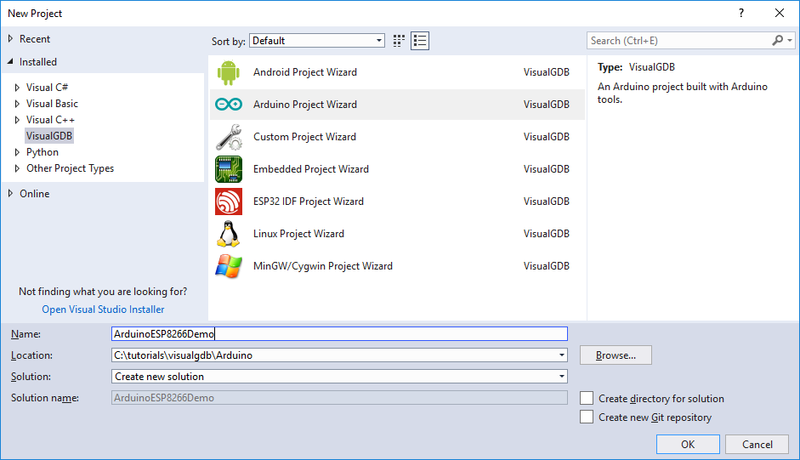 Please test the debugging functionality with a new project as shown in this tutorial before proceeding to import existing projects. 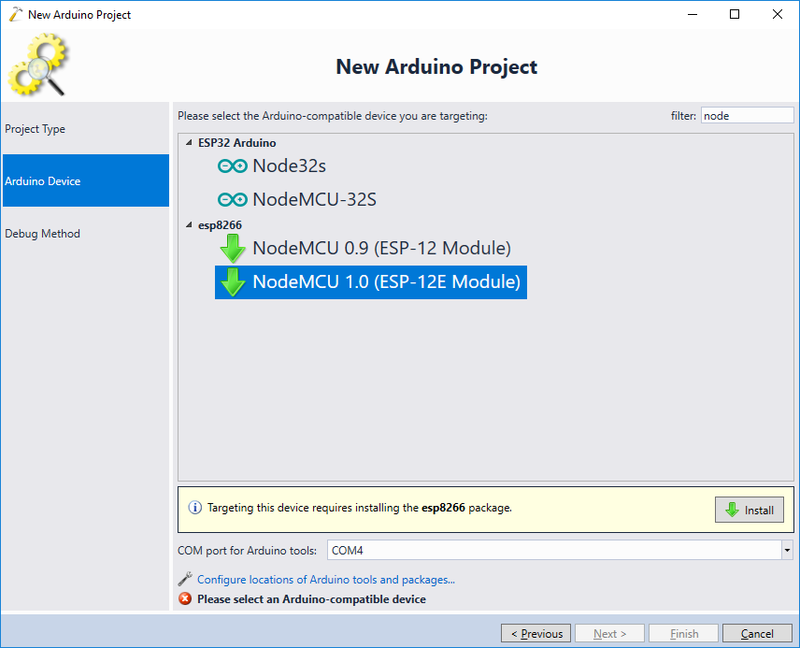 If you are not able to set breakpoints in the code while it is running, ensure that you are using the latest ESP8266 Arduino core (2.5.0 or later). 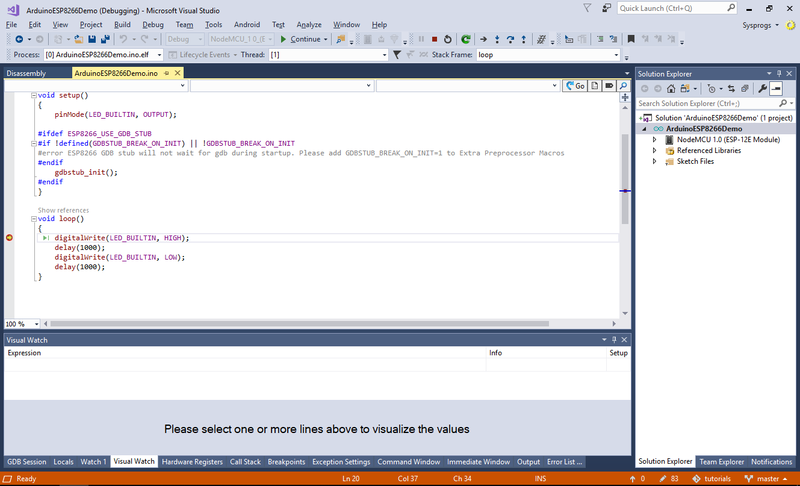 If gdb refuses to connect to the gdb stub, double-check the baud rate setting on the Debug Settings page of VisualGDB Project Properties. If you are not sure what baud rate is used by the stub, try connecting to your board’s COM port with different baud rates (e.g. 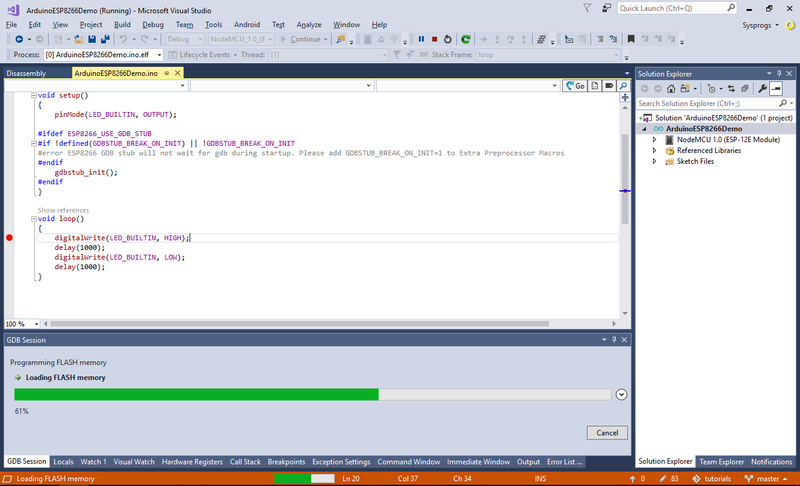 using SmarTTY) and resetting it. 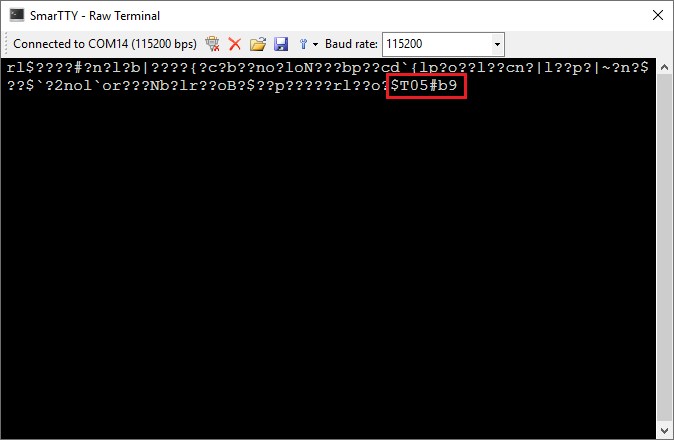 If the baud rate is correct, you should see the “$T05#b9” text indicating that the stub is waiting for gdb to connect: If you don’t see this text, try choosing a different baud rate and restarting the board.